Rahul Panat is an associate professor in the Department of Mechanical Engineering at Carnegie Mellon University. He received his M.S. in Mechanical Engineering from the University of Massachusetts, Amherst, and his Ph.D. in Theoretical and Applied Mechanics from the University of Illinois at Urbana-Champaign (UIUC). After his Ph.D., Panat worked at Intel Corporation, Chandler, AZ, for a decade in the area of microprocessor manufacturing research and development (2004-2014). His work at Intel included research on next generation high density interconnects, thinning of Si, 3-D packaging, and lead-free and halogen-free ICs. He won several awards for his work at Intel, including an award for developing manufacturing processes for the world's first fully green IC chip in 2007. He moved to academics in 2014 and joined the Washington State University, Pullman, before moving to Carnegie Mellon in 2017. At Carnegie Mellon, Panat works on micro-scale additive manufacturing, flexible and printed microelectronics, and advanced energy materials. His research aims to enhance fundamental scientific knowledge and create engineering breakthroughs for several important applications. For example, the Panat group recently mimicked the natural process of the formation of desert roses in the Namibian desert to develop a breakthrough additive manufacturing method that can make 3-D hierarchical materials with structural control from hundreds of nanometers to several millimeters. Such designer materials can lead to unusual mechanical properties such as high strength but ultra-low weight. His research has also helped in realizing high-performance high-temperature sensors and improved energy storage solutions. 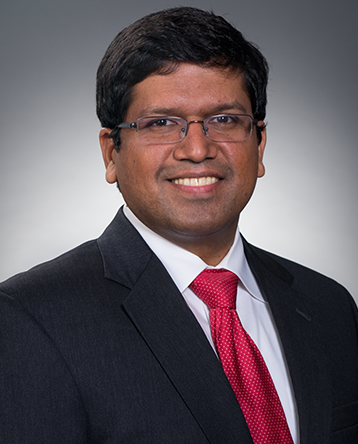 A new 3D printed battery design created by MechE’s Rahul Panat that provides a higher energy density and more design options than traditional batteries could prove a significant contribution toward creating a greener grid for Pittsburgh. Forbes reported on Rahul Panat's work with 3D printing batteries, which will enable batteries to hold charges longer and more effectively charge. MechE’s Rahul Panat has developed a revolutionary new method of fabricating battery electrodes using Aerosol Jet 3D printing. Rahul Panat and a team of researchers from CMU, WSU, and UT-El Paso have developed a new 3-D printing technique for manufacturing strain gauges that breaks the Poisson Ratio by 40%. Material scientists at Lawrence Livermore National Laboratory in California came up with a successful approach to reproducing stainless steel by designing a computer-controlled process to tightly control the microscopic structure. MechE’s Rahul Panat is particularly intrigued by the scientists’ use of a commercially available 3D printer and laser, making it easier for others to follow their lead and further stretch the boundaries of 3D printed stainless steel. Rahul Panat is pursuing both of his passions at CMU: research and teaching.